Susya (Arabic: سوسية‎, Hebrew: סוּסְיָא) is the site of an ancient Jewish village in the southern Judaean Mountains south of Hevron, on the road towards Be’er Sheva, a Palestinian village claimed established by the 1830s and a religious communal Israeli settlement under the jurisdiction of Har Hebron Regional Council established in 1983. 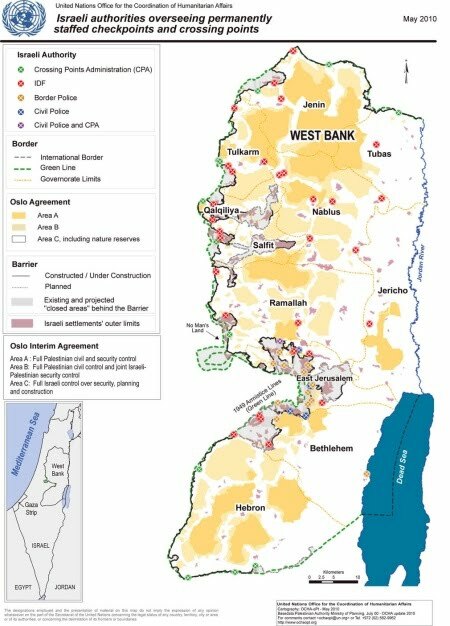 The Susya region lies in Zone C according the Oslo Agreements where the West Bank was divided in Area A (18% of the West Bank territory under PA – Palestinian Authority), B (22% under Palestinian civilian control) and C (60% under direct Israeli control). The Israeli Supreme Court has given the green light for the demolition of 80 illegal structures in Arab Susya. On Thursday [16th July 2015] demolition orders were distributed to the Arab squatters. Arab Susya was built adjacent to the Jewish community of Susya that was established in 1983. Problematically, the Arab town was built on the archaeological site of ancient Susya, a Jewish village from the Temple Period. According Arutz Sheva newsportal US State Department spokesperson John Kirby delivered a terse statement against Israel at a press briefing on 16th July 2015, incredibly ordering the Jewish state not to demolish illegal structures built by Arab squatters on an ancient Jewish village. After an Arab journalist asked about reports that Israel may carry out the demolition soon, Kirby said the State Department is “closely following developments”. According Arutz Sheva Kirby clearly was reading a typed answer to the question, whereas in his other answers he spoke in his own words without a pre-scripted message. This fact would appear to indicate both the strong intentions expressed in the statement, as well as how the State Department was planning to address the issue – and possibly pre-arranged for the question to be asked. 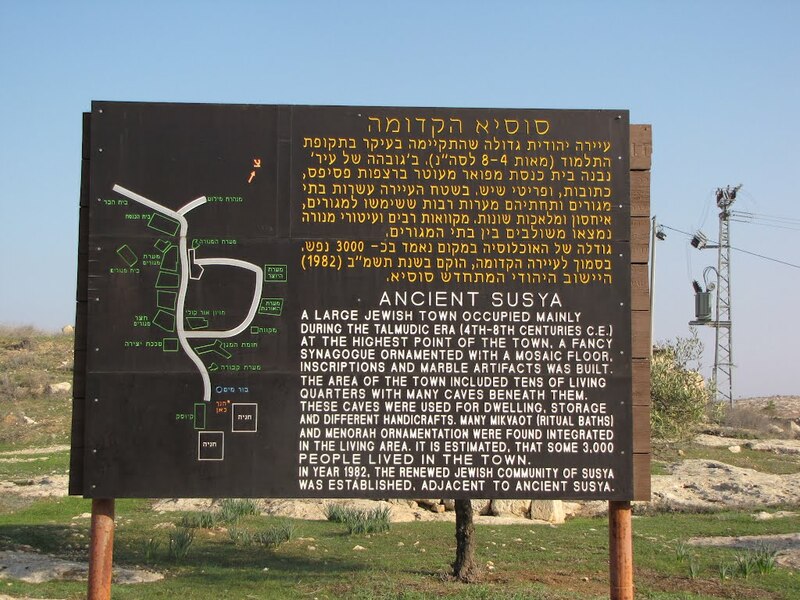 While Arab squatters have claimed an Arab historical connection to the site, historical documents have thoroughly debunked that claim, showing how the Arab village is a very recent phenomenon whereas the ancient Jewish connection to the site is established in the records. Tzviki Bar-Hai, then head of the Har Hevron regional council, told Arutz Sheva in late 2013 that the Arab presence in Susya is very recent. “I was there in 1976, and aside from the synagogue that was built here in 1969, there wasn’t a living soul,” he recalled. “We were able to restart the archaeological digs in 1983, and then, too, there were no Palestinians around.” He noted how Arab farmers began to visit Susya for one or two nights at a time during certain parts of the year starting in 1986, revealing that those now claiming to be residents of Susya are actually from the nearby Arab town of Yatta. 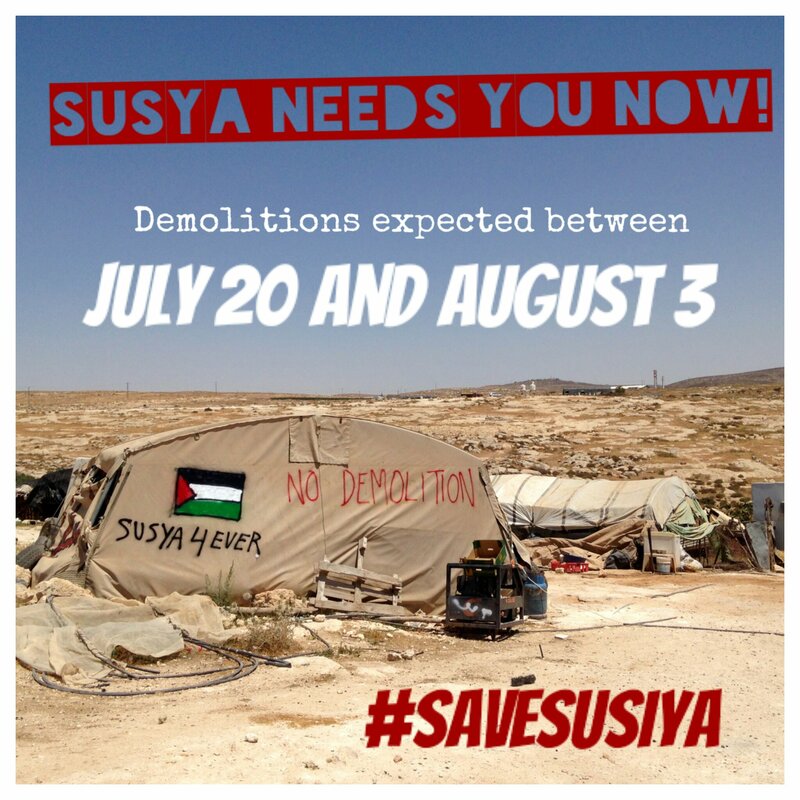 The case of Susya is one example of problems with outposts and settlements of Arab side (Arabs from PA-controlled areas of Judea and Samaria, and by Bedouin Arabs in the Negev). The Arabs do not seek permits, and set up whole towns, which in some cases have grown to be small cities. The outposts are built on state land, often on land used by the IDF for training, and as a result the army is forced to adjust its exercises, jeopardizing the security of Israelis. In addition, the outposts are not hooked up to sewage systems, and raw Arab sewage is often dumped in environmentally sensitive areas, ruining the ecology of many areas. In many cases, the Arabs refuse to request permits for their outposts, refusing to recognize the authority of the state, and avoiding paying for development and infrastructure costs. 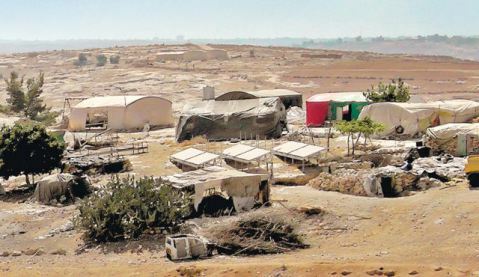 As an illegal outpost, the Arab settlement does not have a development plan even in some cases they are working with that kind of plan in the hope of retroactively legalizing the site. In addition – according The Jerusalem Post – the EU is building hundreds of illegal structures in the West Bank, which the government has not removed in order to avoid a diplomatic tangle with the Europeans. The structures are being built near Ma’aleh Adumim and its E1 area, some of the structures are even being built on nature reserves, where construction is forbidden. These buildings contravene the Oslo Accords, which give Israel full administrative responsibility and authority over Area C so the EU is participating in a violation of the Oslo II Agreement. 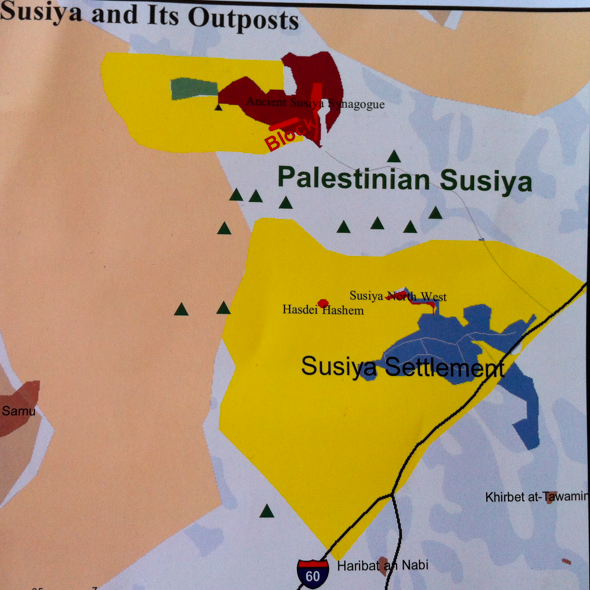 Susya is also example of problems due unresolved Israeli-Palestinian conflict. The legal procedures are more clear e.g. in Negev (inside 1967 cease-fire line) than in Areas A, B or C in Samaria and Judea where different civil laws and military rules are prevailing. This entry was posted on Sunday, July 19th, 2015 at 1:50 pm and is filed under Conflicts, Middle-East. You can follow any responses to this entry through the RSS 2.0 feed. Both comments and pings are currently closed.